Know Amarillo Class of 1973 graduates that are NOT on this List? Help us Update the 1973 Class List by adding missing names. Hold the presses, the details are revealed! The official 45th year reunion of the last class to roam the halls of the Polk Street campus is complete. We will be gathering a mere five blocks from our alma mater in the private courtyard of Napoli's Italian Ristorante. The restaurant entrance is at the northeast corner of the building and Napoli's is located at the corner of Seventh Avenue and Taylor Street. Dinner will be your choice from a special menu of four Italian favorites and a fully stocked cash bar is available. Dress is very casual. Music will be provided by local personality Chris Albracht spinning tunes from the 60's to contemporary and a dance floor will be available. We were able to keep the cost the same as the 40th reunion which was $50.00 per person. If at all possible please pay in advance. Simply drop a check payable to AHS Class of 1973 in the mail to: Daphne Adkins, 8302 Victory Dr, 79119. If you must pay at the door, just remember to bring either check or cash when you come, both will be welcome. For those traveling in for the event a block of rooms is being held until the 17th at the VERY nearby Courtyard by Marriott. It is only one block west of the restaurant and currently one of Amarillo's nicest. They can be reached at (806) 553-XXXX . The reunion will be from 7 till 11 but registration will open at 6:30 PM. After the reunion those hearty souls who wish to can avail themselves of the many bars, restaurants and clubs within four or five blocks of Napoli's. Breakfast Sunday morning for those interested will be on your own and begin at 9:30 at Youngblood's located at SW 15th Avenue and S Madison St.
Only one "Pre-party" has been scheduled for Friday night that we know of. It is being hosted by Linda Templeton, Janet Peacher, Virginia Tuttle and Debbie McFarland. Located at Linda's house at 2211 S Harrison St, it is open to all associated with our class, five dollar donations are accepted and will be from 7-10 PM. Additional details if any as well as an opportunity to RSVP will be available on Facebook in the "Amarillo High School Class of 1973" group, *****.com and *****.net. Convince anyone you know or see from our class to get their information from one of these sites. More 1973 alumni from Amarillo HS have posted profiles on Classmates.com®. Click here to register for free at Classmates.com® and view other 1973 alumni. 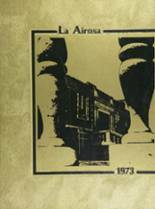 The students that went to school at the Amarillo high school called Amarillo High School and graduated in '73 are on this page. Register to add your name to the class of 1973 graduates list.